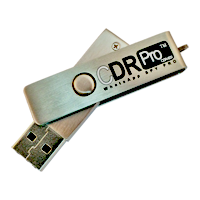 Spy Recovery Pro - CDR500 Enterprise license is the latest professional tools for analysis and data recovery All-in-One protected by USB drive. 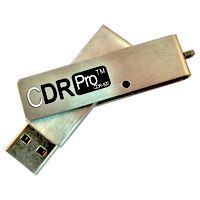 The Spy Recovery Pro is the ultimate data recovery tool, compatible with some of todays most popular devices. With this software, you can recover deleted data from iOS devices (including iPhone, iPad, iPod Touch & iTunes Backup File), Android handsets and tablets, SD Cards & USB Flash Drives It allows you to monitor your childs cellphone activity, check on employees using company owned handsets or recover deleted data from your device. phone. The kit includes a USB key on which the software - so we do not need to install anything and access to the data we have on each computer. WhatsApp Spy PRO - CDR600 is the latest application of well-known company EnigmaRecovery for data recovery software from WhatsApp Messenger. Can be used in home and office. It allows you to monitor your child’s WhatsApp use, check on Employees using company owned handsets as well as recover deleted WhatsApp data from your device . The kit includes a USB key on which the software - does not install, so is totally discreet, works undetectably on any PC. Enterprise license – can be used on an unlimited number of devices.